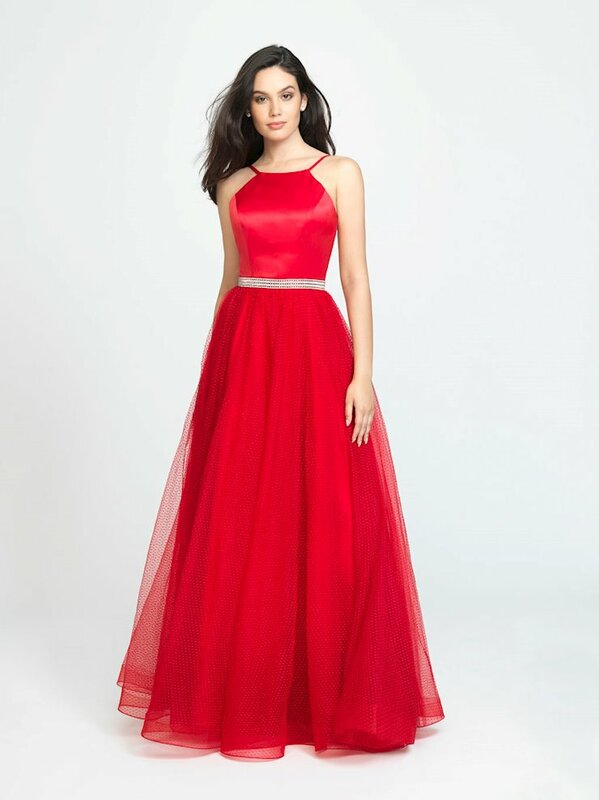 Explore the Newest Prom Collections! Shop Now! Swiss dotted tulle composes the skirt of this A-line gown. Whatchamacallit fashions, located in Dallas and Fort Worth, Texas, brings you the latest styles for all of those important events on your calendar this year! Your perfect prom, pageant or homecoming dress is waiting. We have only pieces available.